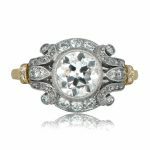 A lively 3.99 carat Antique cushion cut diamond platinum engagement ring, prong set with an open ornate gallery that is studded with diamonds. 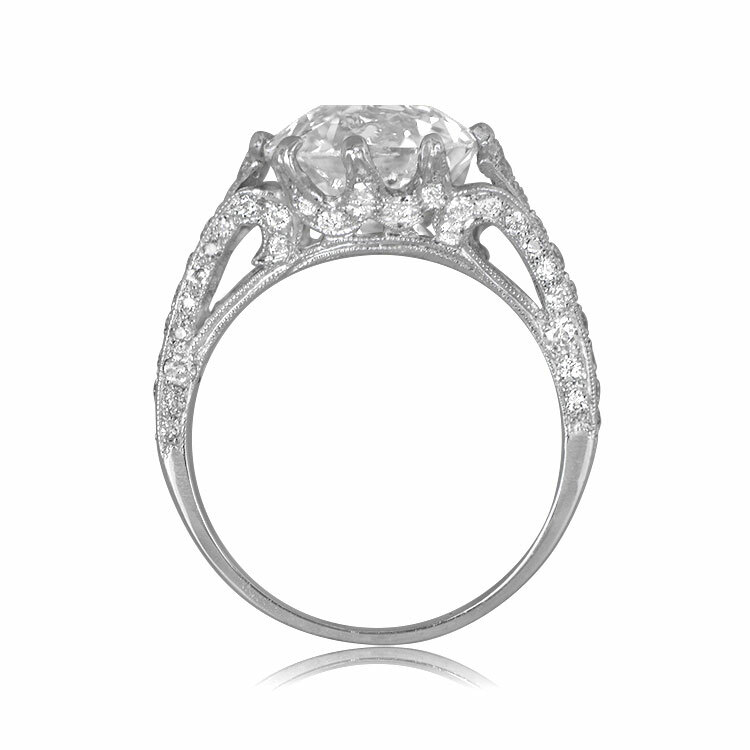 The shoulders of the ring feature a row of diamonds. Fine milgrain adds to the delicacy of the design. 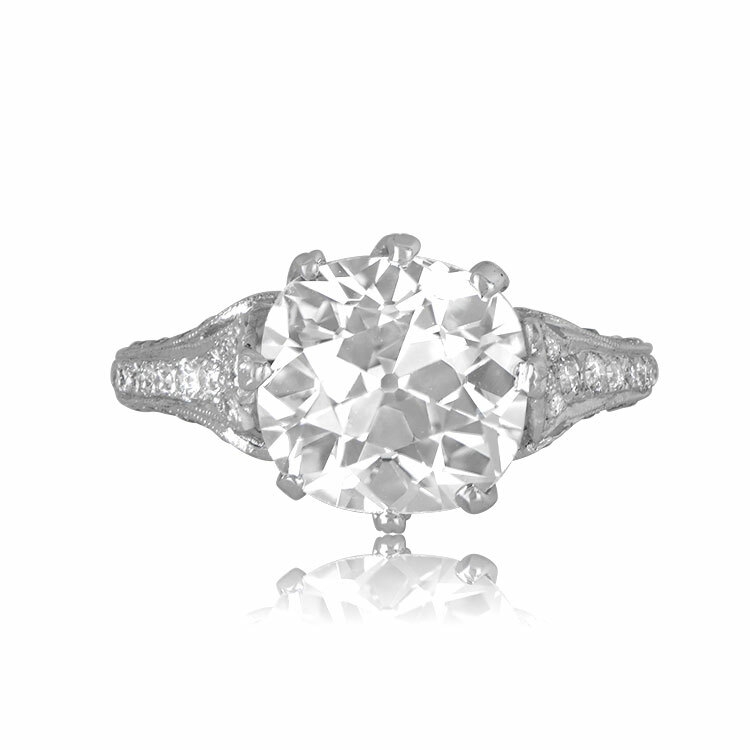 The center diamond was cut circa 1900 and weigh approximately 3.99 carats, L color and VS2 clarity. The center diamond is set East-West. 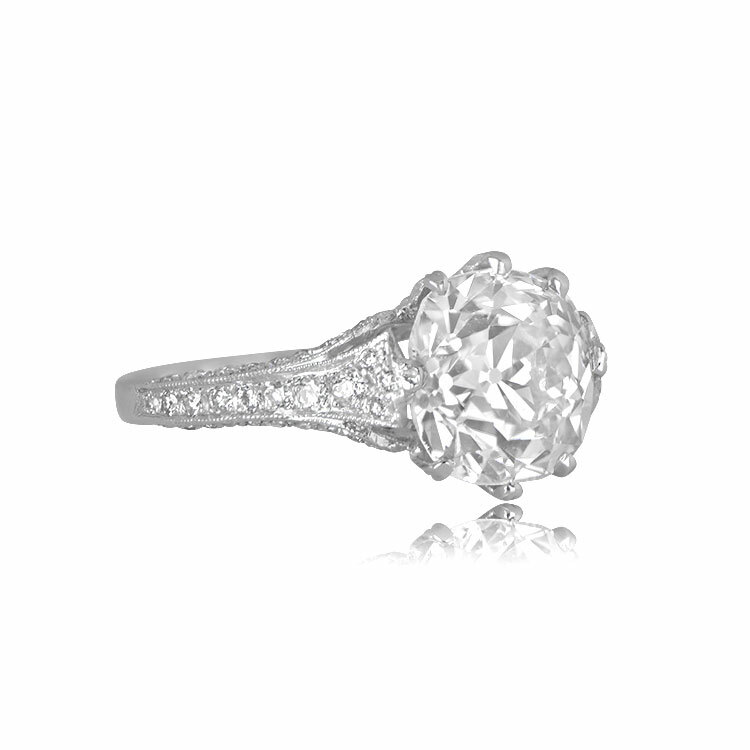 This ring is part of our 3 carat engagement ring collection. 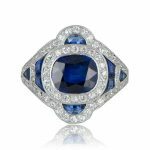 The measurements of the center diamond is 9.17mm x 10mm x 6.30mm. 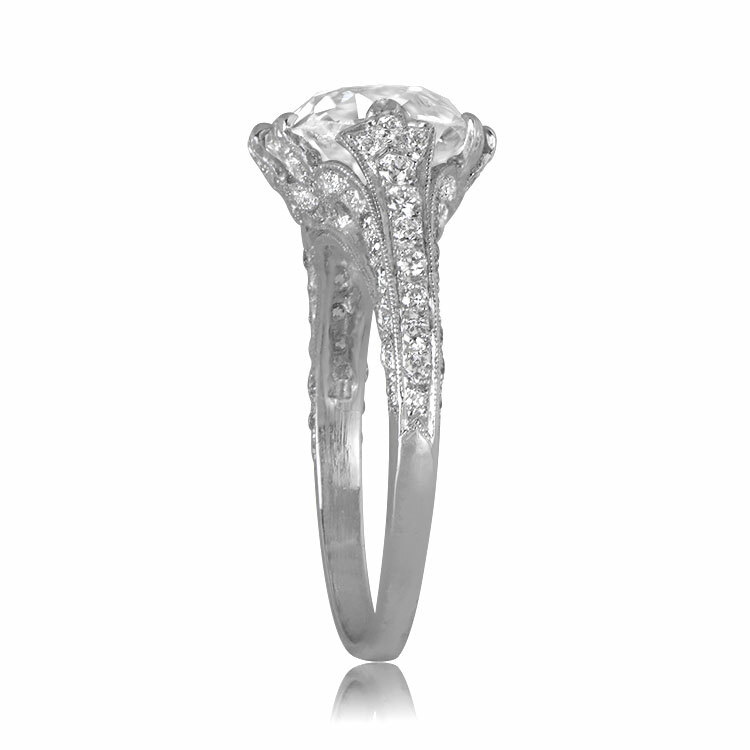 Our Suffolk ring can be resized at no extra cost. 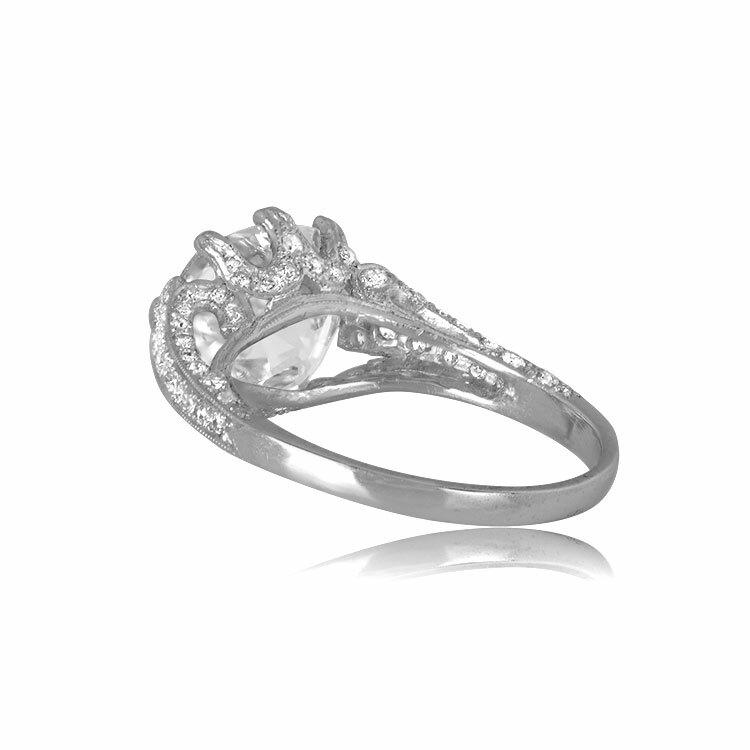 SKU: 12093 Category: Vintage Engagement Rings - Contact us and request additional pictures.